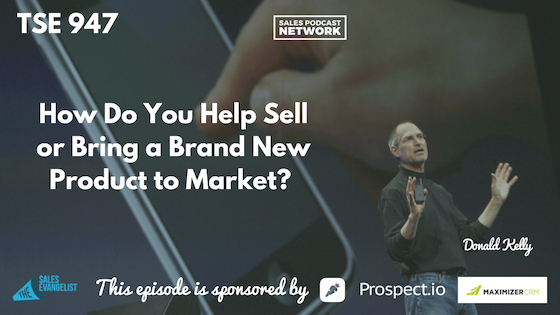 TSE 947: How Do You Help Sell or Bring a Brand New Product to Market? Home » TSE Podcast Post Page » TSE 947: How Do You Help Sell or Bring a Brand New Product to Market? Bringing a revolutionary new product to market can be difficult, especially if you don’t yet have a community of supporters. Apple did it in 2007 with the iPhone, solving a problem that people weren’t even aware that they had. How can you capture people’s attention if you don’t already have that community? Today on The Sales Evangelist, we’ll talk about how you bring a brand new product to market and get it to the masses. Steve Jobs was revolutionary. Even if you aren’t an Apple fan, the company changed the cell phone industry. It changed the music industry and other industries as well. But Apple had advantages that we don’t have. For an average Joe that doesn’t have a huge community, how do you get your product to as many people as possible? As a sales professional, or a marketer, or an entrepreneur, how do you accomplish that? First, you must understand your ideal customer. We talk about this all the time because it’s vitally important, but people miss it. We create products and services that we think people would like when in actuality they don’t. Steve Jobs talks in his video launch about the years of research that Apple did, and the years of gathering information on user preferences, and the research to understand how people use their current phones. Apple identified how people were using their phones, where the gaps were, and then addressed how iPhone filled in the gaps that users had. Apple found solutions to problems that people hadn’t even identified. If you aren’t able to identify the problems that people want to get solved, that’s the next big focus. Your audience may not realize that they have a problem yet. Henry Ford once said that if he had asked people how to improve transportation, they might have said they needed better whips or faster buggies. They didn’t understand the possibilities that were available. The key is to educate the masses. Find influencers or people who already have the ear of your buyer. In the example of a phone, find tech websites or folks who do online reviews of tech products. Many of them have Youtube channels and Instagram channels and you can grab their attention, or even consider paying them to review your product and help bring it to the people they help. People who are launching products try to appear as many places as possible. How can you make sure as many people as possible see you? The Squatty Potty took a product that wasn’t necessarily revolutionary, but they educated people about the need for the product. Take advantage of local events or other opportunities to introduce people to your product. Airbnb emerged during the Democratic National Convention in 2008 when people couldn’t find enough hotels. The company shed light on a huge problem and offered an easy solution by having people use their homes as hotels. Is there a problem in society that you can shed light on and launch a solution to, even if it isn’t a nationwide or worldwide problem? Is there a local problem you can latch onto and utilize the news angle to help you educate people? When we launched The Sales Evangelist podcast, we were mentioned in Entrepreneur magazine. We took that information and went to the local news folks and they wrote stories about us in local journals. Then a local news channel picked up the story. We didn’t pay for any of it. 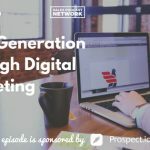 We used our mention to grow our brand and our podcast. Look to other products and brands to see how they have navigated their launch. Find ways to go one-to-many as opposed to one-to-one. Sometimes when we get a new product, we try to grow it by having the people we know share it with the people they know, and that approach does work sometimes. Instead, find pockets of ideal customers. Go on podcasts. Create a Youtube channel. When Russell Brunson launched the book Click Secrets, he appeared everywhere. He went to conferences and other places where his potential clients were. He had a funnel on the back end, but he also had affiliates who helped him spread the word. Find people who have one-to-many voices to help you. These aren’t the only ways, and we could talk for hours. Look and see where success leaves clues. Check out the video launch of the iPhone in 2007. Although it’s a long video, there’s a lot of interesting information. 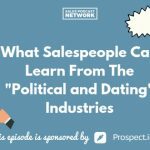 This episode is also brought to you in part by Maximizer CRM, personalized CRM that gives you the confidence to improve your business and increase profits. To get a demonstration of maximizer, go to the sales evangelists.com/maximizer. Click on the link to get a free demo of what Maximizer CRM can do for you. It integrates your marketing campaign as well as your CRM, and it works whether you’re a small organization or a large one.